When it comes to climate change, children are the canaries in the coal mine. If we’re lucky, they will lead us out of the collapsing mineshaft. Oregon native Kelsey Cascadia Rose Juliana is the lead plaintiff in the landmark climate-change case, Juliana v. U.S., currently before the Ninth Circuit Court of Appeals. Kelsey was only 19 years old in 2015 when she and 20 other youths sued the federal government for failing to protect them from the future horrors of a warming planet. 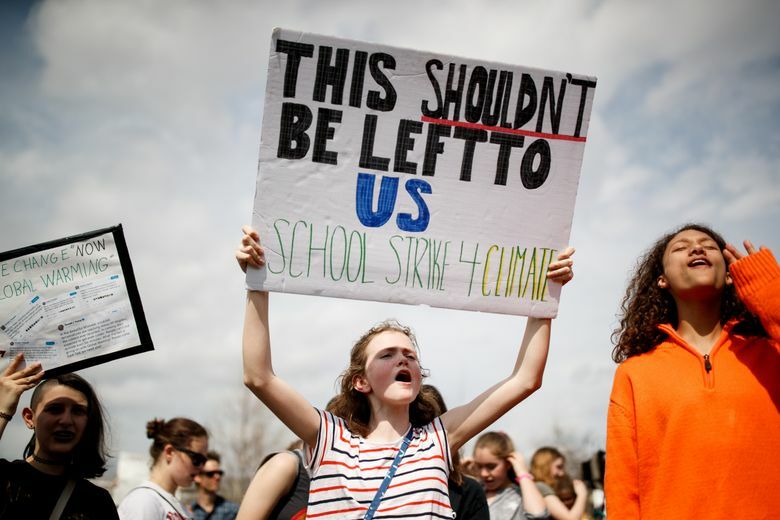 From climate change to school shootings to asylum-seekers at the border, the plight of young people now animates our political culture. This is not the first time Americans have looked at children to understand periods of troubling social and environmental change. “Children are our future” is the cliché. But it was not always so. As recently as the early 20th century, kids like Juliana were more likely to be found working in a coal mine than named on a court docket or speaking from a dais. Children, especially poor children, were expendable when our carbon economy was young. Just as the fossil-fuel industry transformed modes of production and blackened skies, it also changed how we value children. Horrified by industrialization’s damage to the bodies and souls of youth, reformers honed a more modern, even sentimental, ideal of childhood. By the early twentieth century, organizations like the National Child Labor Committee publicized deplorable conditions that children faced in mines, mills and factories. Chicago Settlement House leaders, like Jane Addams and Alice Hamilton, drew public attention to the toxic filth in industrial cities. Progressive Era compulsory education, juvenile justice and urban housing reforms followed. At the same time, urban designers cultivated new environments to protect youth from harm. Calvert Vaux, a mastermind behind Central Park, along with Frederick Law Olmsted, built the beloved space in part with this motivation, initiating a century-long parks and playgrounds movement across the United States. After World War II, the atomic age shook Americans’ faith in their children’s future — more than 60 million of them born between 1944 and 1961. This time, threats to youth and other living things, as Rachel Carson explained, might lurk in the suburban yard or the farmer’s field. DDT in air and water accompanied the ambient risk of radiation. Postwar toxics presaged genetic mutation, childhood cancers, not to mention a future of silent springs. These environmental dangers struck at the heart of the most revered institution of the time: the nuclear family. But it was the precious child at the vital center of American domesticity that animated environmental debates to come. White middle-class boomers, ensconced in suburban rumpus rooms, were nonetheless vulnerable to a soup of environmental threats. Amid debate over the nuclear test ban, physician Louise Reiss created the Greater St. Louis Citizens’ Committee for Nuclear Information. The group urged mothers to package their children’s baby teeth and mail them off for study. They documented elevated levels of Strontium-90 throughout the United States. Children, and with them the future of the world, were at risk. Youth of the 1960s and 1970s emerged as tenacious political actors themselves, protesting chemical companies whose weapons fueled the Vietnam War and launching Earth Day in 1970. They demanded change in the face of social and ecological devastation. Soon, the burgeoning environmental justice movement made race and economic inequality more central to environmental concerns in disasters like Love Canal. These efforts served as prologue to mobilizations around the more recent lead poisoning tragedy in Flint, Michigan. Youth activists of our own time raise the question: Do we really believe that children are the future? Our actions say no. In this latest moment of postindustrial reckoning, at what many hope is the end of the carbon economy, what can we conclude? If the past is any guide, we know that children will be the indicators of our environmental concerns, and since the mid-twentieth century they are more likely to lead than to follow. The Ninth U.S. Circuit Court of Appeals will soon make a decision on Juliana v. U.S.. Meanwhile, youth climate activists in Europe, Australia and the U.S. held protests and demonstrations last week. They join with the growing throng of kids crowding into politicians’ offices and city streets. They are not coddled snowflakes. They are the future. Corrected version: Kelsey Cascadia Rose Juliana was 19 years old when she and 20 other youths sued the federal government. An earlier version of this Op-Ed stated that she was 15 at the time. Jeffrey C. Sanders is an associate professor of environmental history at Washington State University and author of the upcoming book "Razing Kids: Youth, Environment, and the Postwar American West."